Greer's OC | The Mixed Bakery Difference Homemade Baked Goods for You! The Mixed Bakery Difference Homemade Baked Goods for You! Pastry chef Elyssa Fournier of Mixed Bakery is easily one of the most talented bakers we know. She bakes from home in Corona del Mar and there’s nothing she can’t create—although fan favorites are her banana and chocolate chip muffins, and her chocolate saussicon is to die for. She’s an OC native who learned her craft at the French Culinary Institute in NYC, and finds baking relaxing. And besides that she’s a picky eater---pastries bring her the most joy. She was the pastry chef for five years alongside her executive chef husband, Yves Fournier, at Andrei's Conscious Cuisine & Cocktails in Irvine prior to the passing of the California Cottage Food Act several years ago. It allows home-based bakers to run a business out of their home kitchen, albeit with some restrictions—no refrigeration is one. And now, she can bake and be at home with her children, Maxime, 11, and Solenne, 5. Mixed Bakery's business is all word of mouth and through social media. 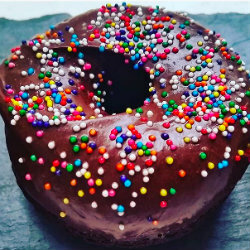 You can follow her on Instagram @MixedBakeryCDM and on Facebook to see her latest bakery creations, made from scratch of the finest ingredients, and place your order. 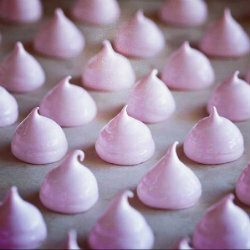 Choose from meringue kisses, scones, baked doughnuts, tarts, cookies, breads, bars and much more. You can pick up your goodies at her home, or delivery for a charge is available. She can also accommodate dietary restrictions and bake gluten, sugar, egg, or dairy free. You can place an order at 949.903.BAKE or elyssa@mixed-bakery.com.